Meet Matt LeGrand, Chicago born and bred Pop Artist who is currently making a name for himself in the music industry. A few weeks back, the 22 year old singer, songwriter and producer released critically acclaimed single 'All Good'. With an upbeat island-vibe accompanied by contagious lyrics, the single is the perfect summer anthem with a powerful message. Matt says the song is not only for a good time but wants his fans to feel "self-love, self-care, and being ok with yourself" when they listen to it. Last week, Matt released the visuals to 'All Good'. Premiering exclusively on The New Nine alongside an in-depth interview, the video shows Matt singing his heart out to his lady in a chill beach scenario. Check out the premiere and interview HERE. With a fresh look, invigorating sound, and empowering message, Matt is rising artist to watch and is set to take the music industry by storm in 2017. Matt LeGrand spent his infant years in France and at the age of seven years old, his family relocated to Chicago. As he grew older he found himself exploring the wide variety of musical inspirations that the windy city had to offer. The exploration didn’t stop there, he found himself actively learning a wide variety of instruments, from the guitar to the drums, even dabbling with songwriting; it didn’t take much for him to completely fall in love with the craft itself. But it was his experimentation with different bands and duos in college that finally inspired him to find a sound all his own. His dalliance in the spotlight has been wildly successful, with an ever growing fan-base who call themselves The Legrand Girls, the social media maverick continues to generate anticipation surrounding his music with the release of his debut single, “All Good"
Matt LeGrand possesses an unforgettable charismatic energy on his debut single “All Good.” A sleek mix of Zedd style, Drake, and a hint of that Justin Bieber feel, Matt has crafted a unique sound that’s entirely his own. The single blasts off with a booming beat, Matt’s vocals creating an unforgettable melody that flows fluidly across the slick synths. A slow groove radiates with wild energy, capturing the feel of a spring break party complete with a chorus of cheering voices that undulates under pulsing movement. Matt has discovered a sound that speaks to his generation, a mysterious mix of danger and romance that is impossible to resist. This perfect summer single will be on repeat throughout these hot nights and languid days. 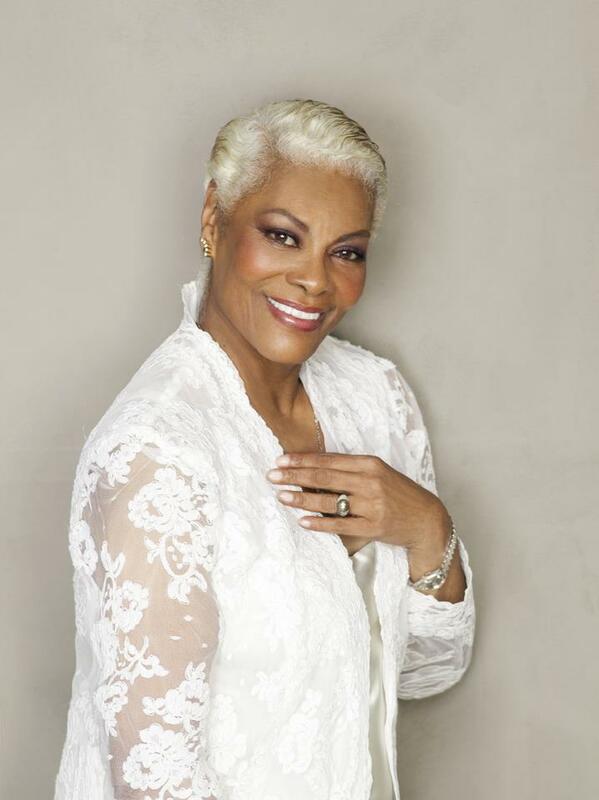 How to Honor a Superstar - Harlem Week Celebrates Music Icon Dionne Warwick. As the summer is sizzling to a close, one blazing star is hotter than ever. After 50 plus years of nonstop entertaining, Dionne Warwick has not slowed her roll yet. She has concert and appearance dates from her upcoming show at The Fredrick Brown Jr. Amphitheater in Peachtree City, GA on August 26, 2017 an additional shows in the months to come including at the River Rock Casino Richmond, BC on September 9, 2017. Harlem Week is about to wrap her in tributes thanks to her remarkable efforts of social awareness in global health and the AIDS epidemic. She was appointed as Health Ambassador during the Reagan administration and has for years been a powerful voice in supporting the improvement of our wellbeing. As a musician, from 1962 with Burt Bacharach and Hal David and her first hit "Don't Make Me Over" she placed her early marks in music. Less than a decade later, she had released more than 18 consecutive Top 100 singles. Ms. Warwick received her first Grammy Award in 1968 for her mega-hit, "Do You Know the Way to San Jose?" and a second Grammy in 1970 for the best-selling album, "I'll Never Fall in Love Again." Most notable is her hit AIDS awareness song with Elton John, Stevie Wonder and Gladys Knight, "That's What Friends Are For" which continues raise notice of the cause, internationally. Harlem will roll out the preverbal red-carpet tribute on August 15, 2017, first with an unveiling of her plaque on Apollo Theatre's Walk of Fame. According to their website: "The Apollo Theater's Walk of Fame celebrates and honors the legendary performers who have helped to build the Theater's legacy for over 80 years. The Walk of Fame inductees have had an enormous influence on generations of musicians and fans." Later that day (8/15/17), Ms. Warwick will be honored in recognition of her contributions in health at the Harlem State Building on 125th St. at 1:30 PM. Finally, a most distinguished highlight to the year will be on November 14, 2017 when she will also be presented with the Marian Anderson Award in Philadelphia. "The award has been created to celebrate critically acclaimed artists - individuals who have used their talents for personal artistic expression and whose body of work has contributed to our society in a singular manner. It is named in memory of the legendary singer and distinguished Philadelphian, Marian Anderson." Whether his contribution to music comes as composer, producer or performer; James Mtume has carved an indelible impression from all sides. Yet for all the decades he has been putting out innovative sounds, he has underscored it with his activism. 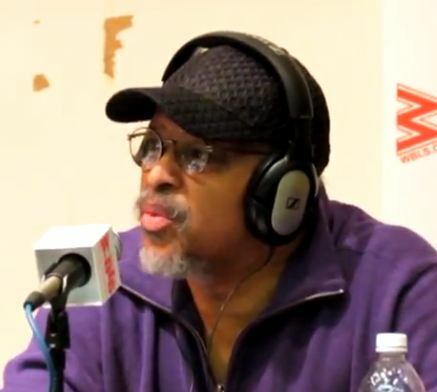 A brilliant and informed orator, Mtume has spoken internationally as well as being a major political commentator voice and activist via the airwaves, such as his popular New York talk show, Open Line, formerly on WBLS FM. His is a rich and storied past as an activist during the turbulent 60's era movements, his years performing with Miles Davis, on into his his chart-topping R&B years as a band - Mtume. In that span he has also composed hits with guitarist/partner Reggie Lucas such as "The Closer I Get to You," (Roberta Flack and Donny Hathaway) leaving an imprint in music that is distinct. With Kiss This World GoodbyeKiss This World Goodbye (1978), In Search of the Rainbow Seekers (1980), Juicy Fruit (1983), You, Me and He (1984), and Theater of the Mind (1986), the group earned 11 charting singles: "Give It on Up (If You Want To)" (number 26 R&B), "Juicy Fruit" (number one R&B), "You, Me and He" (number two R&B), and "Breathless" (number nine R&B). Mtume created a unique sound with his "sophisti-funk," and turned an era on end with hits for the likes of Phyllis Hyman, Stephanie Mills (He and Lucas both won the Grammy Award for Best R&B Song for writing and producing fellow R&B artist Stephanie Mills' top-ten hit "Never Knew Love Like This Before", for which she also won a Grammy for Best Female R&B Vocal Performance), the Spinners, and Lou Rawls. His much-sampled beats and rhythms, as in the Notorious B.I.G. 's "Juicy" and dozens of other songs have made Mtume's music a staple of R&B and Hip Hop; including his having produced yet another generation including neo-R&B acts like Mary J. Blige. In honor of his many activist/music contributions for all aspects of enlightening and entertaining the masses, Harlem Week will be paying tribute to the living legend. The event will take place on August 23, 2017 at Harlem Hospital at 6:00 PM. Enjoy a riveting example of Mtume's continued presence as world-spokesman and musical leader. HARLEM WEEK promotes and celebrates the past, present, and future of Harlem! HARLEM WEEK is a series of Harlem events throughout the summer, that bring together all age groups and cultures to celebrate the unique and diverse essence of Harlem. This Harlem Festival & Celebration offers over 100 events throughout the months of July and August, attracting over 3 million attendees from all around the world to Harlem New York. Featuring: Outdoor and indoor music concerts, The Upper Manhattan Auto Show, Film festivals, Health Fair & 5K, Sporting events, Adult and children's fashion shows, Youth programs and activities, Career fairs, HBCU Fair & Expo. Lucie Editions Featuring Eli Reed! Eli Reed was the 2011 Lucie Awards Recipient for his Achievment in Documentary Photography. The two Lucie Editions posters designed with Eli's photographs are "Model and Actress Tyra Banks Embraces Film Director John Singleton, 1994" (as seen above) and "Kids on the Car, A Long Walk Home" (pictured below). These limited edition posters have been signed by Eli and they are available online at the Lucie Store as well as through the Amazon Lucie Editions Photography Collection. Bruce Davidson, Victor Skrebneski, Gianni Berengo Gardin, Li Zhensheng, Nobuyoshi Araki, Herman Leonard, George Tice, Arno Rafael Minkkinen, Arthur Leipzig, Lisa Kristine, and John Iacono. To view the extended collection, please click here. Whole Foods is huge with voice-activated assistant users. 15.4% have shopped there in the past month, compared with just 9% of average Americans (18+). 18.6% of voice-activated assistant users had groceries delivered to them in the past year, compared to 9.5% of average Americans. This year, SalesFuel added 14 new audience profiles and 8 new purchase intent shopper profiles. This year’s survey also adds two new Chain + Franchise Customer Profiles. There is a total of 1,386 AudienceSCAN categories available, comprised of 660 audience profiles, 441 purchase intent profiles, 30 event attendee profiles and 255 major account customer profiles. The AudienceSCAN purchase intent specifically highlights consumers who are taking action within the next 12 months. AudienceSCAN data is available through the SalesFuel API, AdMall for Media, AdMall for Agencies or our custom guided sales apps for vertical sales. Dashboard Datasets also are available for marketers to use in their business dashboards. In addition, free daily briefings are available through the SalesFuel mobile app for Apple iOS, Google Android and Amazon Fire, as well as through the SalesFuel Today email. SalesFuel is proud of its new TeamKeeper® product, the revolutionary new data-driven platform for developing high-performing teams. Thought leadership is delivered free-of-charge through the firm’s many white papers and daily sales briefings at SalesFuel.com. SalesFuel also produces the MediaSalesToday.com and SalesFuel Today e-publications, which are updated several times daily for sales professionals across North America. HGTV’s most beautiful home, chosen by over a million voters, is a beach house in Turks and Caicos. It is for sale at $11.5 million and featured this week at TopTenRealEstateDeals.com. Since HGTV launched its House and Garden television in 1994, house lovers have watched shows like House Hunters and House Hunters International to vicariously house shop for everything from modest homes to contemporary mansions. Those who already own homes or need the confidence to buy a fixer-upper learn a lot from handsome twins Property Brothers and from Flip or Flop, Fixer Upper and other home improvement shows in the HGTV lineup. In its early days, the network’s programming was geared to landscape makeovers, decorating on the cheap, and homemade furniture. Today, HGTV takes its viewers away to Beachfront Bargain Hunt, successful Island Hunters and even a taste of the new Tiny House Hunters rage. Always upbeat, consistent and relaxing to watch, HGTV has been a respite for those weary of depressing political news, mind-numbing sitcoms and violent crime shows. Proving that point, co-founders Kenneth Lowe and Susan Packard propelled the fledgling experiment from their small video production company in Knoxville, Tennessee into a worldwide network. Now watched just as addictively in Singapore, New Zealand and Poland as it is in the United States, it is one of cable television’s most popular brands for both viewers and advertisers. Recently fans were asked to pick what they thought were the seven most beautiful homes in the world for the HGTV Ultimate House Hunt. Categories included Best Waterfront Property, Best International Property, Best Small Spaces Property, Best Outdoor Retreat and Great Estates. The overall fan-favorite winner, out of over a million votes, was a beachfront house in the Turks and Caicos Islands. Named Mandalay Villa, the sun-drenched beach mansion is sited on over two private and secured acres on Long Bay Beach. Large, open and airy with white walls standing out against the turquoise ocean and island-style wood vaulted ceilings, the footprint measures 13,274 square feet with seven bedrooms and nine baths affording plenty of space for visiting family and friends. Water being the theme of the design, there are multiple pools both inside and out with walkways and night lighting intensifying the architectural details. Large open living areas, bars and outdoor kitchen and dining terrace are perfect for entertaining and tall open arches frame views of sky and ocean. There is a two-story guest house with separate one-bedroom apartment that flanks the entrance gate and the five main house bedrooms have king-sized beds and are ensuite with the master having its own living room, deck overlooking the beach and private lounge with spa. Not surprising that luxury to this degree commands a weekly in-season rental of $50,000. The listing agent is Bernadette Hunt of Luxury Portfolio International. Grand winner of HGTV’s 2017 Ultimate House Hunt chosen by over a million voting fans is the ultimate beach house in Providenciales, Turks and Caicos Islands. Priced at $11.5 million. September Morning, the feature length directorial debut of Ryan Frost (Mobster’s Moll, Reunion) will be available nationwide from Candy Factory Films. The film, an exploration of coming to terms with innocence lost of a nation in the wake of 9/11, has toured the country in association with a number of the nation’s leading 9/11 organizations – the FealGood Foundation and the Twin Towers Orphan Fund among others, sparking dialogues with students and educators across the country of what it was like to live through one of America's most unforgettable days. The movie will open in theatres in Los Angeles, New York, D.C., Chicago, Portland, Philadelphia and Richmond, VA, among others, as well as across all VOD/Digital and DVD platforms as a day and date release timed to the sixteenth anniversary of 9/11. It will also be utilized as part of this falls orientation at esteemed universities around the country beginning with Villanova, USC and the University of Miami, among others. “I emerged from history class on a sunny Tuesday in September to learn our nation was under attack. Eighteen-years-old, frightened, and away from home for the first time, I looked to a group of freshmen peers for answers, support, and human connection. I think that human connection is still vital to us all these years later and I’m grateful to share that and the film with such a vast audience,” states director Ryan Frost. September Morning stars Patrick Cage II (Jane the Virgin, Rebel), Katherine C. Hughes (Me and Earl and the Dying Girl, Kingdom), Troy Doherty (Hachi: A Dog’s Tail, Hickey), Michael Grant (The Secret Life of the American Teenager, Where Hope Grows), Taylor Rose (The Good Wife, The Family Fang), Michael Liu (Keeping up with the Joneses, Conviction), and Max Gail (42, Barney Miller). In the confusing hours following the tragic events of 9/11, five college freshmen confront the promises of youth that have been brutally severed by a national tragedy. The emotional and intellectual aftermath, for these five as well as our nation, raises more questions than it answers. Written & Directed by Ryan Frost, and produced by Orestes Arcuni, (Mad Men, Scorpion), Ryan Frost, William S. Goldstein (The Reign, Aviator), Stephen Gibler (Sports Jam, Bread and Butter), and executive producer Richard P. Forman (Undercover Boss). The original music for the film composed by Daniel Wehr (Sinister, Spider-Man 3). “Like many Americans, I’m intimately tied to the tragic events of 9/11, and the emotions of that day can still be summoned in an instant. And though September Morning chooses to deal with the 9/11 story in a much different way than most post-9/11 dramas, it’s every bit as powerful and accessible, bringing to mind moving films like Extremely Loud and Incredibly Close. We’re excited to be able to share this unique drama with audiences everywhere,” states Jason Ward, President of Candy Factory Films. September 11th was a day we'll never forget, but what will we remember? In the first dark hours following the tragic events that would become known as 9/11, five college freshmen huddle together within the safety of a dorm. Unsure of their families’ fates and far away from everything they’ve ever known, they spend the night sharing stories, telling jokes, and asking “What’s it going to be like tomorrow?” as they wait for the sun to rise in answer to their question. Out of national tragedy, lifelong bonds forge; bonds that will anchor them to who they are as they grow up. To bring September Morning to your community or organization contact septembermorningfilm@gmail.com. September 12th, LLC's goal is to produce more than a film about the events of 9/11, but to start a dialogue to talk to young adults about how they process tragedy and turbulent political events. Founded by filmmakers Ryan Frost & Orestes Arcuni in 2014 as a collective arts project for people of all ages and walks of life to share their stories, recollections, and pieces on 9/11, The filmmakers are currently on a national tour with community engagement screenings in schools, teenager’s organizations, and youth groups. With the support of a number of prominent 9/11 organizations and a partnership that has already yielded thousands of dollars in scholarship funds for children who lost family on 9/11, Ryan Frost is honored to be sharing his compassionate and realistic meditation, which was based on his own experiences September 8th 2017 nationwide. Ami Vitale will guide us into different realities of our planet: a fragile organism, on which we rely and which we must understand how to preserve. We will have the opportunity to get to know, through her extraordinary images, the unique stories of one of the most famous contemporary photographers, who will answer to all the questions from the audience, satisfying any curiosity. Despite last summer her incredible “Pandas Get to Know Their Wild Side” photo story was a global sensation, the American photographer and Nikon Ambassador Ami Vitale doesn’t consider herself a nature photographer. “I use nature as the foil but it’s about us, our future, and where we are going” says Vitale, who began her career covering brutal global conflicts. Telling the story of the pandas and their fate isn’t just about the pandas, but about every connected thing on earth. Even for wildlife and nature stories, she can bring that same sensibility into the images. "Everything is connected to nature. Even though the issues I was covering were issues of conflict and security, every one of those issues ended up being dependent on nature for its outcomes”, Vitale says.